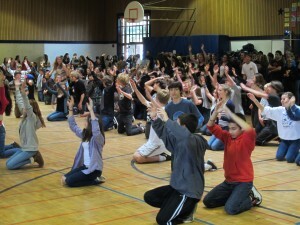 Middle School Students Dance the Night Away! 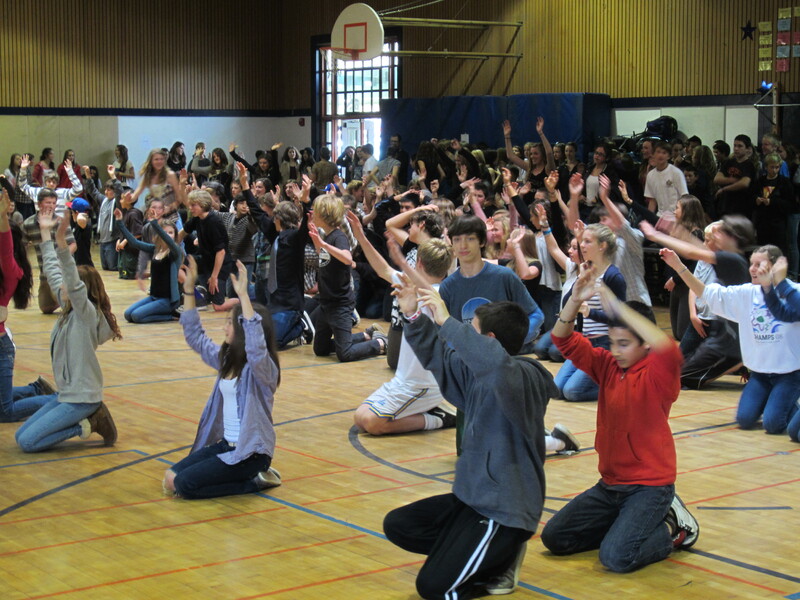 As a grand finale for Youth in Arts Mentor Artist Tom Mayock’s dance residency at White Hill Middle School, over 400 students performed a wide range of dances from the Jazz genre, in such styles as Hip Hop, Pop, Body Percussion, and Zumba, to name a few. Tom led these young adults into a choreographed celebration with contemporary music and dances such as Katy Perry’s “Firework”, Tao Cruz’s “Dynamite”, with a triumphant performance of Jai Ho! in the Bollywood style. A Special thank go to The Yes Foundation, Youth In Arts, Kathy Thorton, and Chris Strempek for their dedication to their community, to their leadership and collaboration. And the young adults of White Hill Middle school must be saluted for their fierce wild cat spirit! Their dance is strong!